Copyright © 2006-2018 Lucky Sew and Sew, Inc. All rights reserved. Galleries to view a sample of over 4,400 quilts done over the years. delivery. 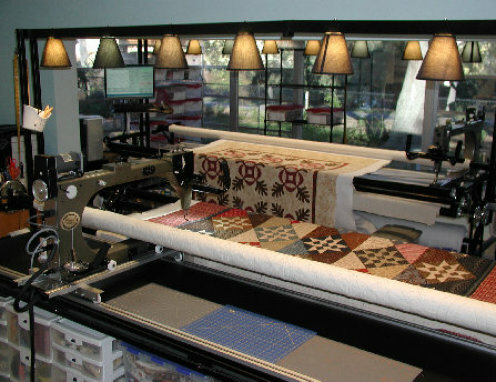 This website is designed to answer any questions that a quilt maker needs. Quilt Preparation and Quilt Definitions contain tips that will help guide you before you bring your quilt tops to be quilted. The Services Pricing and Materials Pricing allows you to do cost comparisons. If there is something specific not covered that you need to ask please call me.